Ashley HomeStore is committed to being your trusted partner and style leader for the home. This commitment has made Ashley HomeStore the No. 1 furniture retailer in the U.S. and one of the world’s best-selling furniture store brands with more than 625 locations in 28 countries. 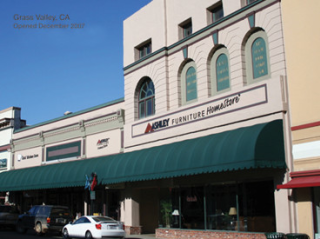 No matter which Ashley HomeStore location you visit, you’ll find stylish, quality furniture that’s just right for any room in the house. Your home is more than a house, it’s the daily moments and experiences you share that make it uniquely you. At Ashley HomeStore, we celebrate being home with you. Our locally owned and operated stores are passionate about being the best and most affordable furniture store for your home. Visit your nearest Ashley HomeStore showroom today.